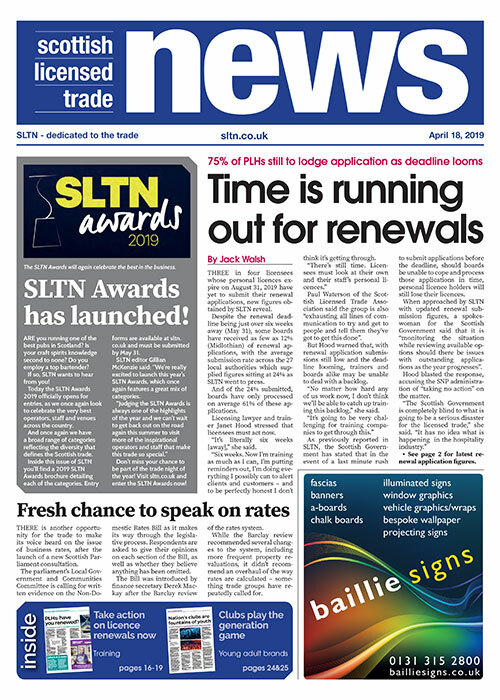 FIGURES obtained by SLTN reveal that thousands of licensees whose personal licences are due to expire on August 31, 2019 have yet to lodge their renewal applications. In many areas, boards have received less than 5% of applications from personal licence holders required to submit them by the May 31, 2019 deadline. Glasgow City Council estimates that 1473 renewal applications will have to be submitted by the end of May; just 26 had been lodged as SLTN went to press. Numbers were also low in North Ayrshire (14 of 581), West Dunbartonshire (10 of 419), the Borders (14 of 380), Edinburgh (47 of 910), Aberdeenshire (26 of 659), Fife (41 of 1102), Orkney (8 of 120), East Ayrshire (23 of 384), South Ayrshire (25 of 470), and Dumfries & Galloway (47 of 557). Licensing lawyer and trainer Janet Hood said: “The trade has to wake up to this. Jack Cummins of Hill Brown Licensing issued a similar plea. He said: “Early indications are that thousands of personal licence holders could be sleepwalking towards disaster. “My message is: book and complete a refresher course now and get a renewal application submitted well ahead of the May 31 deadline. 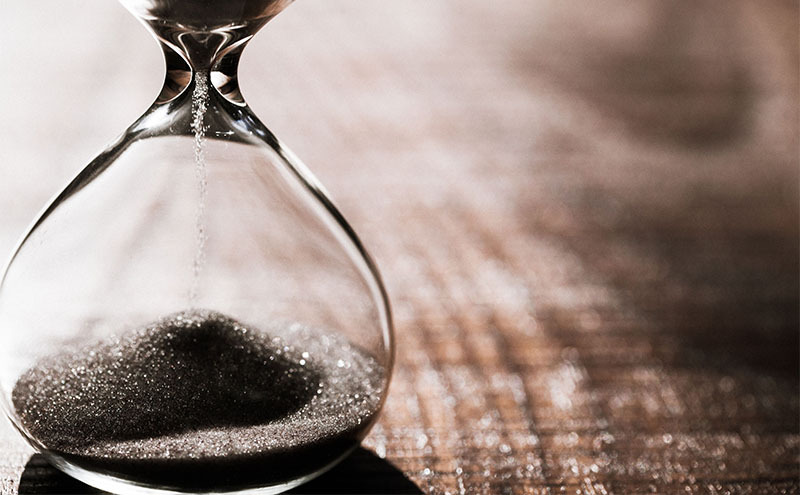 As reported in SLTN (December 6, 2018), the Scottish Government has said that if there is a last minute rush of applications towards the renewal deadline, and boards are unable to process timeously lodged applications by the deadline, licences will still be lost. Jo Worrall of Twist Training said licensees must also remember there can be delays in receiving updated training qualifications, which could impede submitting a renewal application. She said: “I don’t think [the trade] realise it’s going to take a couple of weeks to get certificates back from the awarding bodies. That’s probably likely to increase if they get inundated. Fiona Stewart, senior solicitor at Aberdeenshire licensing board and chair of Solar (Society of Local Authority Lawyers & Administrators), said the “small number” of applications submitted so far is “concerning”. “But there’s still time,” she said. “My advice: don’t ignore [calls to renew]. “Training courses are finite – get booked on your training because there are no contingency plans in place. “And if [PLHs] miss that May 31 deadline, yes they can work, but only up to August 31 – and after that, that’s it.